Every Californian should conserve water. The Central Calaveras Fire District is dedicated to the protection of life, health, property and the environment by delivering quality life and fire safety services. 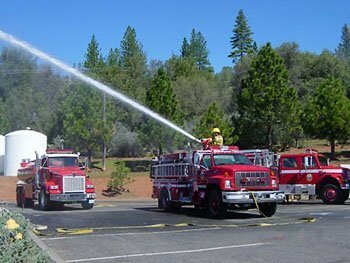 Partner with other Calaveras County Fire and Emergency agencies as well as other organizations in order to strengthen our service delivery opportunities and thereby streamlining operations becoming as cost efficient as possible. Provide opportunities for all personnel to be properly prepared, to accept higher roles and responsibilities within the department. 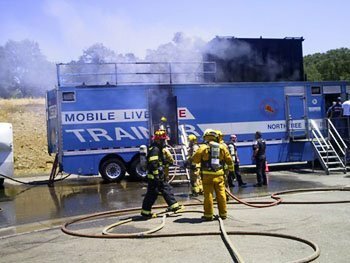 Provide emergency response consistent with professionally recognized standards of coverage. Seek to obtain additional funding sources to improve service levels to the community. Work to prevent or reduce loss to the community by fire and other occurrence. Prepare for increased levels of Emergency Medical Service delivery. Understand that each of our customers is a valued member of the community.